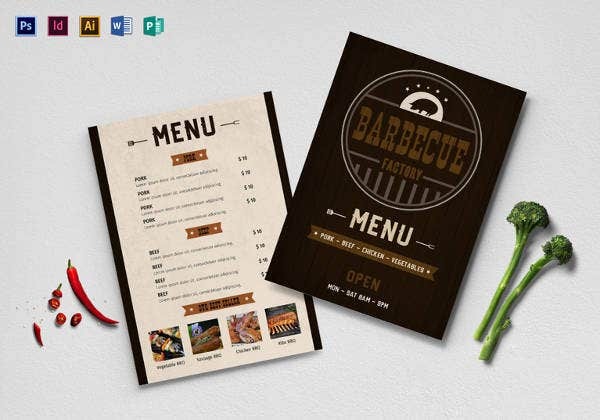 BBQ Menu Templates – 27+ Free PSD, EPD Documents Download! Barbecue joints have become immensely popular now. If you want a taste of true American culture, then you simply cannot miss out on a good barbecue. If you’ve just started a barbecue joint, or own a barbecue themed restaurant, then you would require a special menu that goes with the ambience. 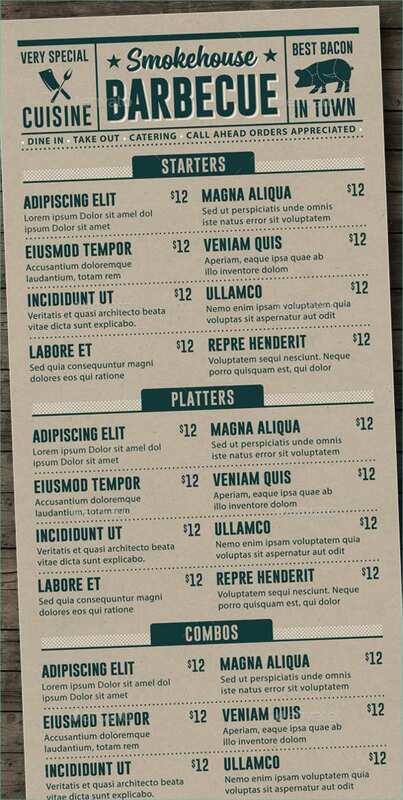 For that, you could try the Dessert Menu Templates available online. Who doesn’t love barbecues? 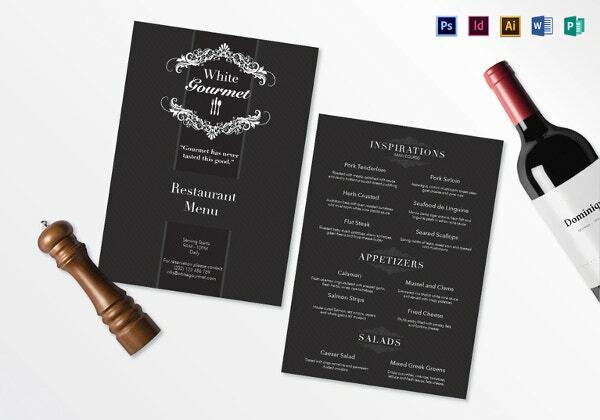 Using a Menu Templates Word to create your restaurant menu card will only add to the appeal. The images of amazing food on the cover, and all over the page is sure to convince your customers to try out your new dishes. It would be a great way to promote your restaurant as well! 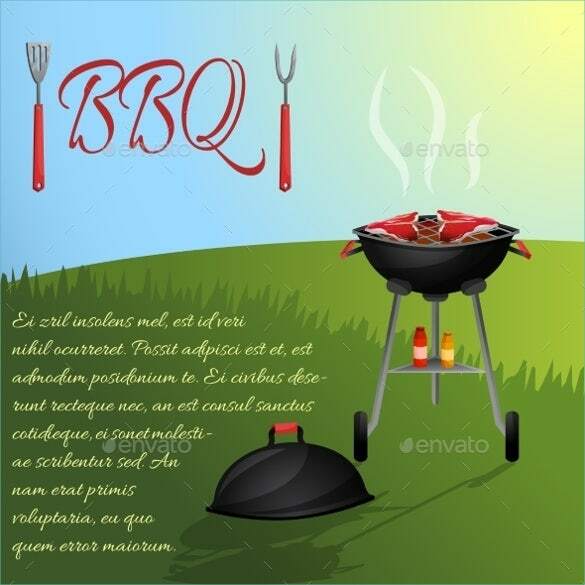 This PDF backyard BBQ pit menu template download has a brown background with the food items written in yellow. 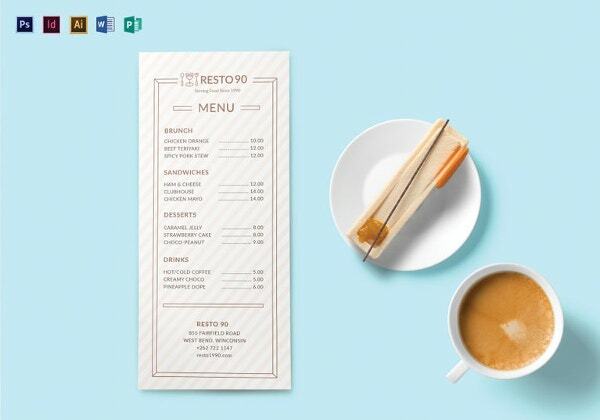 This menu is for a family business perfect to draw an example. 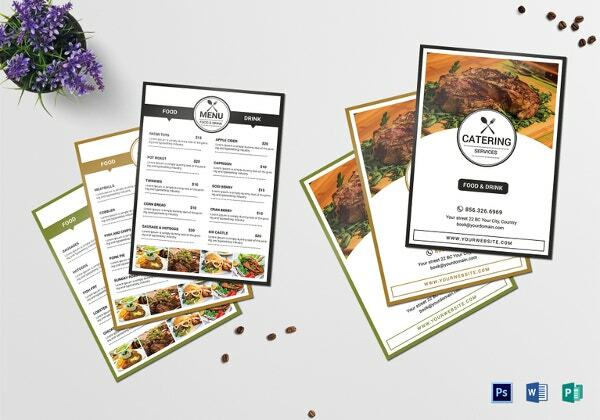 This menu comes with has starters, platters and combo as the items offered on it. 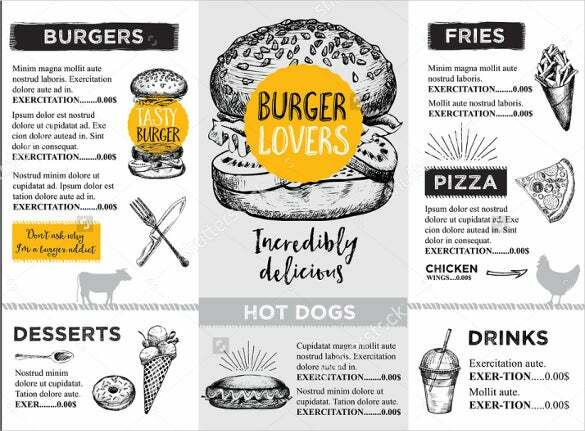 This Word BBQ menu al illustration template has special cuisine and best bacon in town. 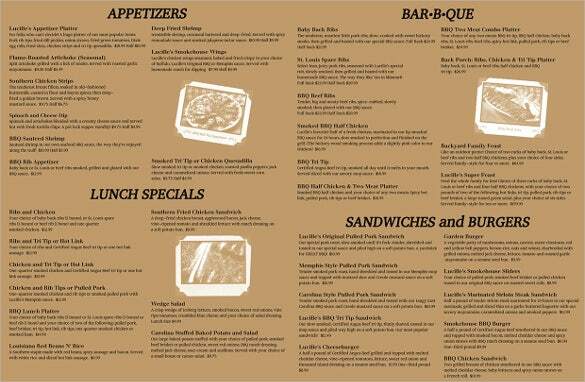 This is Excel format custom BBQ menu chalkboard sign template comes in multiple colors. The menu has images of juice in a jug, a melon and bottles of ketchup and mustard. 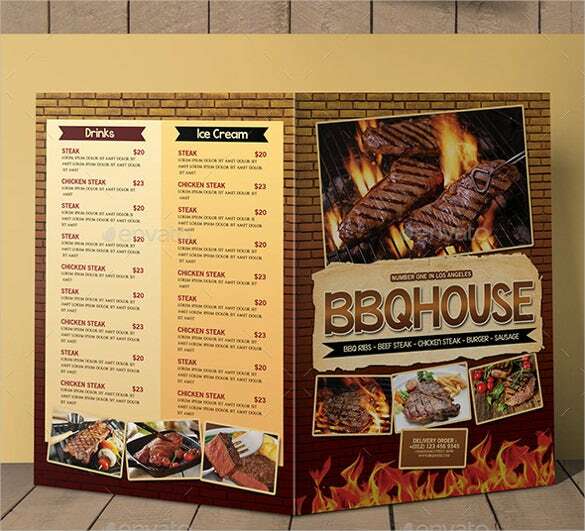 This PDF BBQ menu poster template has the image of an outside BBQ with pictures of a fork and a spatula. You can download this template and use it as your own. 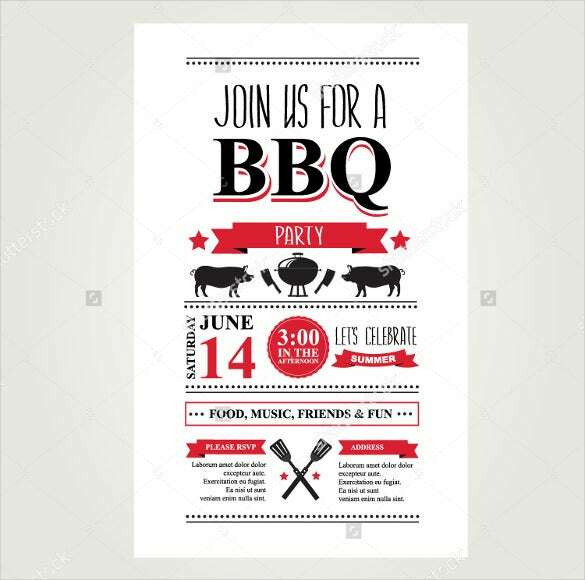 This Word BBQ brochure menu template comes in white with black and red writings. 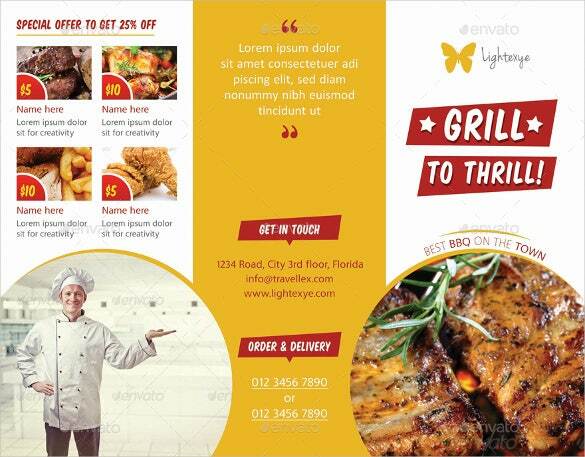 You can download this template and use it to come up with a nice brochure for your BBQ. The front page of this Excel format template is a juicy BBQ meat. 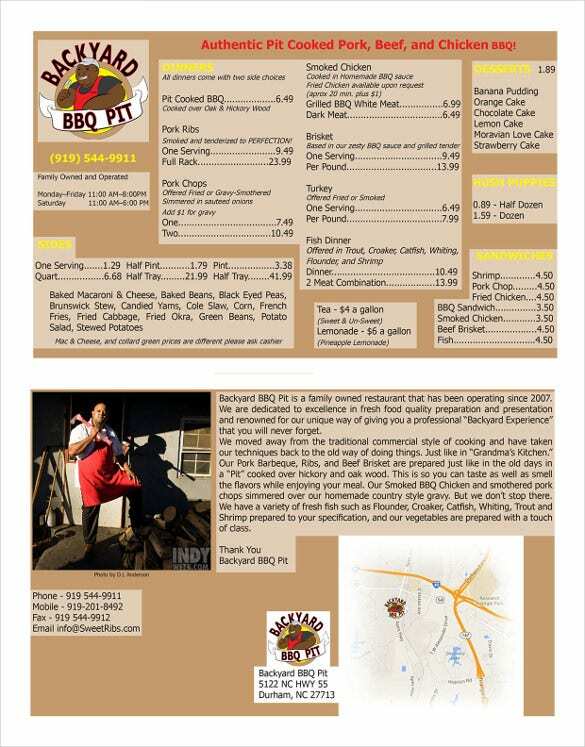 This BBQ menu tri fold template also has a special offer page with a picture of the chef below it. 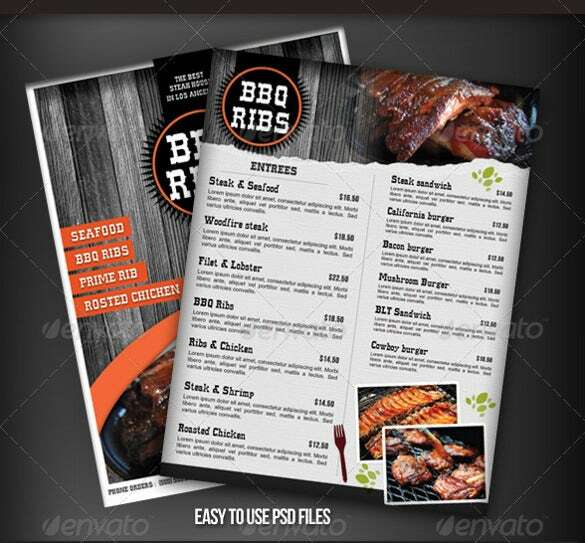 This PDF BBQ menu design template comes in white and black with some gold adverts. 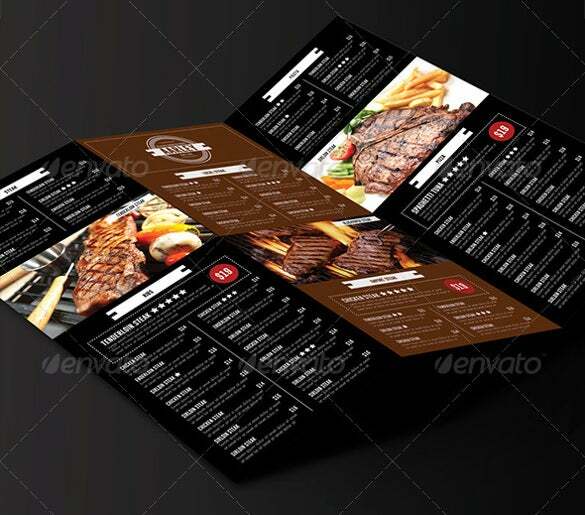 This menu can be used by individuals and premises looking to design their own BBQ menu. 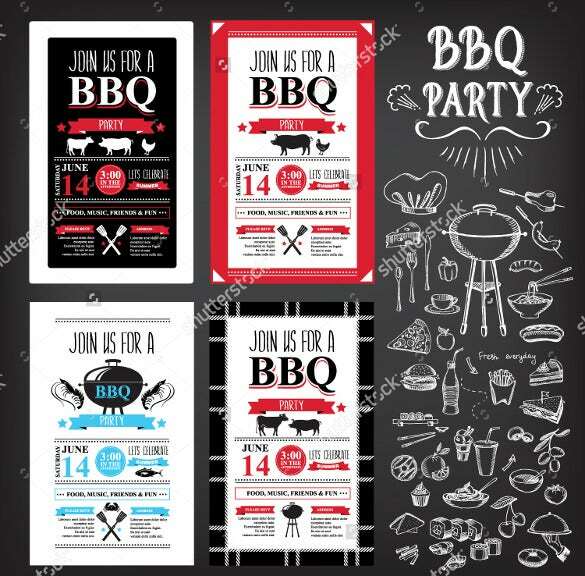 This Word chalkboard printable BBQ menu template is a birthday BBQ meal plan. 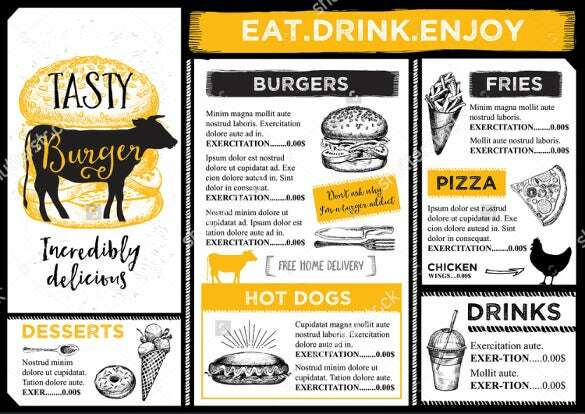 You can download this menu to print and customize it to your own birthday menu and enjoy the delicacies with your loved ones. This Excel format Lucille’s BBQ menu template comes in chocolate. 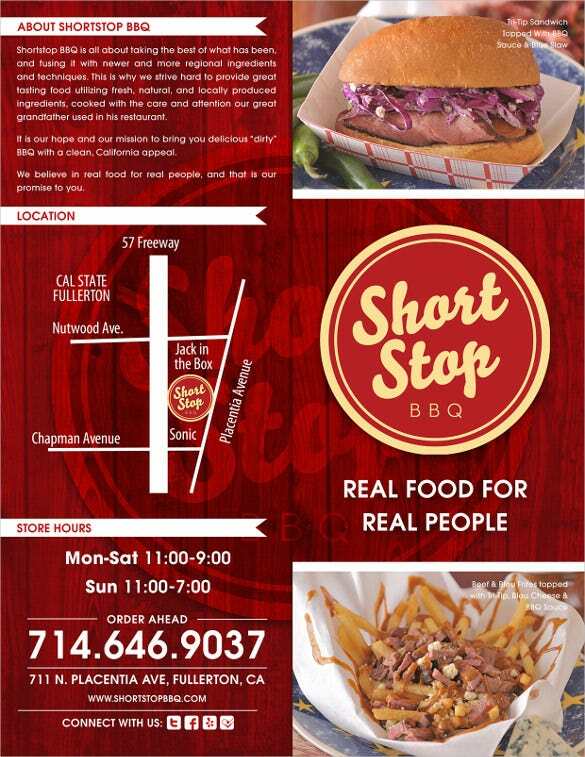 The items offered in the menu are appetizers, lunch specials, bar-B-QUE, sandwiches and burgers. Download the template for reference. 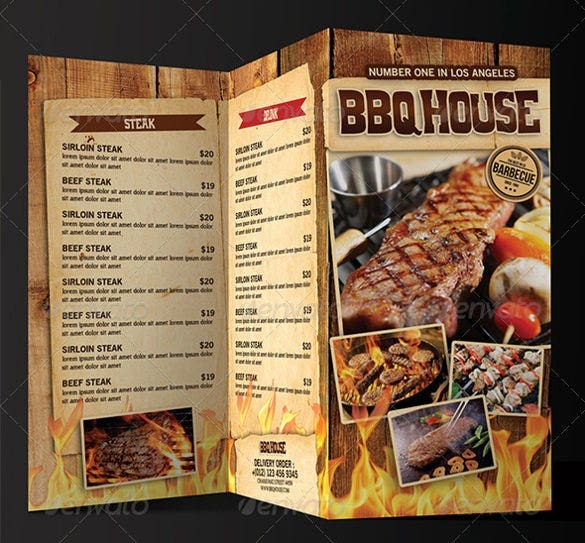 This PDF BBQ steak menu bi fold template has gold and dark brown colors. This menu also has drinks and ice cream as items served and can be used comfortably by a restaurant.